PURESENSE – India’s first water purifier that treats any varying water source such as Bore well / Municipal or Tanker water by automatically selecting the required technology: either UF / UV or RO, based on the indicated TDS setting (Total Dissolved Solids) defined by the customer. 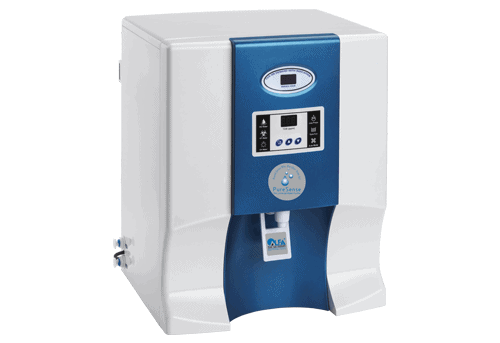 PURESENSE – The Universal Water Purifier is incorporated with a Micro Controller and a TDS sensor to combine RO, UV and UF technology to provide a pre-set TDS on demand so as to retain essential minerals in pure water. It has a user friendly display panel that displays both the TDS in the treated water along with the purification process in use. PURESENSE – is the best water purifier for home use and automatically circulates water in the storage tank every 4 hours through a UV system thus keeping the water pure and safe at all times. This is a safety feature as water stored for long periods is at risk of getting re-contaminated. PURESENSE displays running service hours to help the customer know when the next service is due. Post purchase maintenance is vital for any water purifier. PURESENSE is the perfect answer to confusion around which technology is ideal: RO or UV? PURESENSE is a combination of technologies and the best suited technology will kick in depending on the quality of your source water. When your TDS level is high, RO will become operational, when it is low, UV will become the primary technology at work. No more worrying about your municipal supply getting mixed with tanker water! 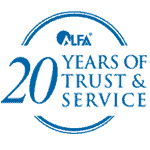 PURESENSE comes to you from Alfaa UV, a company with 19 years of expertise in water purification and an excellent track record of after sales service. Why Is Alfaa PureSense The Best Universal Water Purifier?